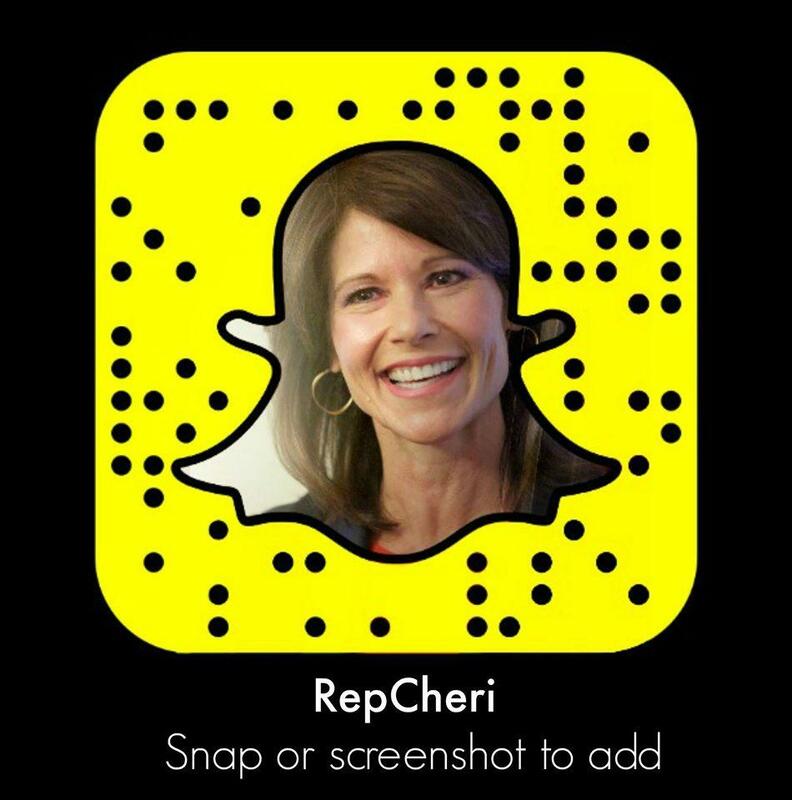 ROCK ISLAND – This past year, Congresswoman Cheri Bustos (IL-17) has continued her proven record of delivering real results for the hardworking families of Illinois’ 17th Congressional District. She has kept up her focus on economic growth, manufacturing, veterans and farmers. She has also demonstrated effective leadership in the House Democratic Caucus in her third term, while also working collaboratively across the aisle on commonsense solutions for working families. After the 2016 election, Bustos was elected by her colleagues to serve as the Co-Chair of the House Democratic Policy and Communications Committee (DPCC). As Co-Chair of the Democratic Policy and Communications Committee, and as the only elected member of the House Democratic leadership team from the Midwest, Bustos has given Northwestern and Central Illinois a voice at the decision-making table and helped ensure Democrats put forth a bold economic agenda for the American people. Bustos was one of the leaders who crafted the Democratic Party’s agenda – “A Better Deal” for hardworking Americans – an economic plan for better jobs, better wages and a better future. Across America – especially in the Heartland – there are millions of hardworking men and women who have been left behind by outdated policies that put profits before people. This final agenda is the result of meeting with more than 180 Democratic members of Congress, experts from across the ideological spectrum and regular Americans who felt they have been forgotten by Washington. It will boost wages, lower costs and level the economic playing field so that all Americans can get ahead, not just special interests or the wealthiest few. It will restore opportunity in part by investing in our infrastructure, apprenticeships and workforce training, which will help create 10 million good-paying, full-time jobs. In March, Bustos delivered the Democratic Weekly Address to highlight the many flaws with the American Health Care Act, commonly referred to as Trumpcare. This was a devastating bill that would have wiped out nearly 2 million jobs (including 60,000 in Illinois), stripped coverage from 24 million individuals, imposed an age tax on older Americans and placed nearly 700 rural hospitals at greater risk of closing their doors. Bustos also started a video series called “Hear from the Heartland” to share the stories of everyday Illinoisans who would be badly hurt by Trumpcare. In one of these videos, she spoke with a mother whose young son, Gryphon, was born with cerebral palsy and relies on Medicaid for critical care. If Trumpcare had become law, Gryphon would have been forced to either go without care or be relegated to an expensive “high risk pool” and reach his lifetime limit at an early age. As many as 23 million rural Americans lack access to high-speed broadband internet. This is a major problem for small towns and rural communities that struggle to compete with big cities to attract job creators and entrepreneurs. In September, Congresswoman Bustos helped introduce a plank of the Better Deal agenda focused on universal high-speed internet. Democrats are pledging to connect every American to high-speed, reliable internet by providing direct federal investments to deliver the highest quality internet access at the lowest price. Read the full “A Better Deal: Universal High-Speed Internet” plan here. In November, she hosted her Fourth Annual Economic Summit, focused on regional collaboration for job creation and economic growth. This was the culmination of a series of economic roundtables that Bustos hosted throughout the year. At this event, she brought together educators, business leaders and government officials to foster relationships and develop ideas for joint efforts to create jobs and prosperity. Opioid overdoses have risen at an unprecedented rate in rural areas, and some of these communities lack the sufficient infrastructure or resources to address this unprecedented crisis. In July, Rep. Bustos introduced bipartisan legislation to help rural communities better leverage USDA Rural Development programs to combat opioid and heroin use. As we work to combat the nationwide opioid epidemic, rural America must not be left behind. In the 115th Congress, Bustos expanded her role on the Transportation and Infrastructure Committee to include two new subcommittees – Railroads, Pipelines and Hazardous Materials and Water Resources and Environment – in addition to Aviation and Highways and Transit, of which she was also a member in the 114th Congress. With these new subcommittee assignments, Bustos continued to be a strong advocate for our region’s transportation priorities and work to craft a national infrastructure strategy that helps both Illinois and America maintain its competitive edge. In April, she brought together the directors of our region’s airports so that she could prioritize their concerns ahead of the Federal Aviation Administration (FAA) Reauthorization bill. Based on these discussions, Bustos wrote and included three provisions in the final bill. Bustos also serves on the House Agriculture Committee, which is preparing to write the next Farm Bill. In August, during Congress’ District Work Period, Bustos met with farmers from across Illinois’ 17th District to discuss their priorities for the upcoming Farm Bill. These conversations and listening sessions led Bustos to introduce the bipartisan Farmers of Tomorrow Act, which is designed to make it easier for young farmers and veterans to purchase land. She has also helped introduce legislation to double the funding for the Market Assistance Program (MAP) and Foreign Market Development (FMD) Program, which help Illinois’ farmers access markets abroad. In the 2014 Farm Bill, Rep. Bustos fought to protect the crop insurance program from devastating cuts and she will continue to advocate for a robust crop insurance program in the future. Our region has seen too many factories boarded up and jobs shipped off to places like China and Mexico. After campaigning on the promise to bring these jobs back, President Trump has yet to propose any policies or legislation to grow our manufacturing economy. That’s why the first bill Bustos introduced this Congress was the Overseas Outsourcing Accountability Act, which would require President Trump to develop a national strategy to stop outsourcing and allow Congress to measure its success through a review every two years. Bustos also introduced bipartisan “Buy American” legislation to create jobs and improve our infrastructure. The Buy America for Drinking Water Extension Act would create jobs and grow the economy by ensuring that all iron and steel products used for projects funded by the Drinking Water State Revolving Fund (DWSRF) are made entirely in the United States. One of the top takeaways from Bustos’ economic roundtables was that educators and employers need to collaborate more to create the skilled workforce we need to grow the economy. That’s why she led members of the New Democrat Coalition in urging President Trump to invest in apprenticeship and workforce development programs. In November, Bustos hosted Democratic Whip Steny Hoyer and Rep. Jimmy Panetta for a roundtable discussion in Peoria about the education and skills gap that prevents employers from filling open manufacturing jobs. This was part of the Whip Hoyer’s Make It In America listening tour. After visiting each of the seven community colleges in her Congressional District, Bustos heard from students and administrators about the need for more flexibility for Pell Grant awards. She reintroduced legislation to expand access to Pell Grants for students across the country, allowing them to use their scholarships year-round and enter the workforce faster and with less debt. This provision was included in the 2017 Omnibus Bill that passed the House in May and was later signed into law. Too often, smaller, Downstate communities in Illinois face discrimination under FEMA’s disaster declaration process. That’s what we saw after a major tornado devastated the communities of Pekin, East Peoria and Washington, Illinois. Ever since then, Congresswoman Bustos has worked with Congressman Rodney Davis to bring more fairness to the disaster declaration process. This year, they passed the Disaster Declaration Improvement Act through the House of Representatives. This bill requires the Federal Emergency Management Agency to give greater weight and consideration to the localized impact of a disaster when determining the need for federal assistance. Working to push this important bill into law, Bustos and Davis also worked together to include the entirety of their legislation in the disaster supplemental bill that passed the House late in December. This year, Bustos fought to include provisions in the National Defense Authorization Act that would strengthen the Rock Island Arsenal and grow the local economy. This language came from her Army Arsenal Revitalization Act, and would require the Secretary of the Army to issue guidance on how the Department of Defense will decide which items to make at Army arsenals and which it will purchase from other sources with the goal of ensuring that arsenals have sufficient workload to keep their workforce skilled and their products affordable. Bustos also included language from her DOD Check Before You Rent Act to require the Department of Defense to certify that no usable space is available on existing military installations like the Arsenal before leasing space with rent costs exceeding $750,000 annually or purchasing new space valued at more than $750,000 total. This would help ensure that space at the Rock Island Arsenal, and other military installations, are maximized before the military leases additional space. Both of these provisions were included in the final version of the bill, which was signed by President Trump this month. U.S. Army Sgt. Douglas J. Riney and U.S. Marine Lance Cpl. Jordan S. Bastean were American heroes who embodied what it meant to live a life of courage, loyalty and selfless service. That’s why Bustos was proud to introduce legislation and marshal Illinois delegation support to rename post offices in their honor in Fairview and Pekin, respectively. The bill to rename the Fairview post office in honor of Sgt. Riney passed in November. Bustos is continuing her effort to bring the bill to rename Pekin’s Post Office after Lance Cpl. Bastean and is hopeful that it will move in the coming year. Workplace sexual harassment has been in the headlines in recent months, and we are in the midst of a cultural moment where this unacceptable behavior is being condemned. Bustos has been working since March to stand up for sexual harassment victims who have had their employers’ conduct swept under the rug by contractual forced arbitration clauses. Earlier this month, the bipartisan Ending Forced Arbitration of Sexual Harassment Act was introduced in both the House and Senate. 14 – Congresswoman Bustos visited all 14 counties in Illinois’ 17th District this year repeatedly and held several events, meetings and Supermarket Saturday visits when Congress was out of session. 133 – As part of her aggressive outreach strategy, Congresswoman Bustos hosted or attended 133 events in 2017 in Illinois’ 17th Congressional District. 60 – Over the course of 2017, Congresswoman Bustos has held 60 constituent meetings or discussions. 1,004 – Congresswoman Bustos strives to make government work for the people she serves, and her office has closed 1,004 casework requests this year – helping Illinoisans cut through red tape at the VA, IRS and other federal agencies. $663,669.55 – This year, Congresswoman Bustos’ office has returned $663,669.55 to constituents in our District, which they recovered from the Social Security Administration, the IRS and the VA. Constituents having problems with any of these agencies are encouraged to reach out to one of our offices in Peoria, Rock Island or Rockford. 20,928 – Congresswoman Bustos prides herself on having a responsive and attentive constituent services operation, and her office has replied to 20,928 messages or requests this year.